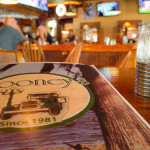 Rooney’s offers a “little bit of everything”! We have burgers, sandwiches, wings, seafood, steak and our famous Friday Night Fish Fry! All day long enjoy $1.50 domestic drafts and $2.50 pints! Enjoy happy hour from 4 p.m. to 7 p.m. Monday through Saturday, dollar off wells! Food served from 11:00 a.m. to 9:00 p.m. Monday through Wednesday and 11:00 a.m. to 10:00 p.m. on Thursday, Friday and Saturday. Closed on Sunday.